Calvo and Esquibel created decolonizeyourdiet.org (website and blog) as well as a class to develop and share their ideas. And they also created a cookbook: Decolonize Your Diet: Plant-Based Mexican-American Recipes for Health and Healing, which was published in late 2015 by Arsenal Pulp Press. Now in its third printing, the book garnered an International Latino Book Award in 2016. When Calvo went through cancer treatment in 2006, their home garden became a source for comfort, strength, and healing. With the assistance of family and friends, they broke into the concrete slab behind the house to make room for more plants: A spiral bed of Mexican oregano, rue, rosemary, and other plants with healing properties is now a feature, and in late summer, tall corn stalks tower along a fence (the kernels get dried for making masa). Passion fruit and shell bean vines crawl through the yard, and a sprawling chilacayote squash vine climbs the front steps. There are fig and feijoa to harvest, and nopal cacti yield both tender green paddles and sweet red fruits (tunas). The bounty of the seasons also includes inca berries, tomatoes, sunchokes, kale, and carrots. A flock of chickens, shared with next-door neighbors, provides eggs. 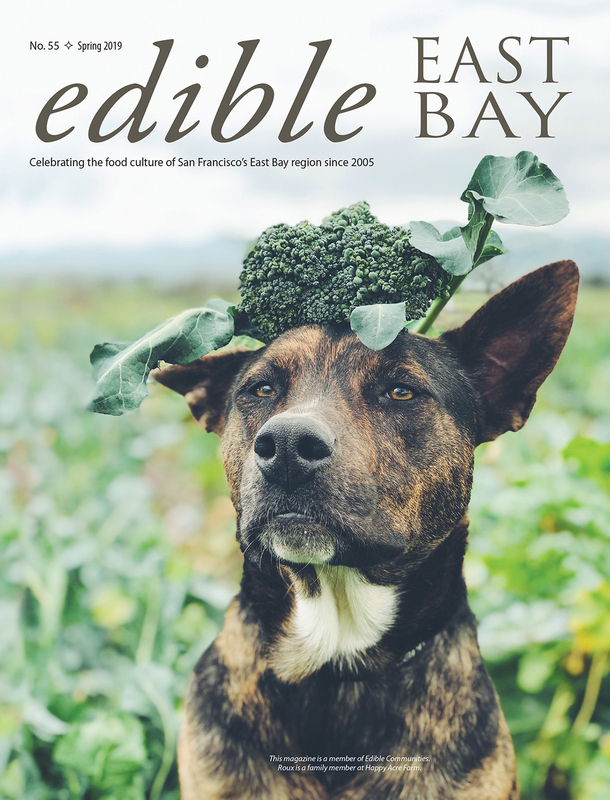 On publication of the book last summer, Calvo and Esquibel partnered with the People’s Kitchen Collective and Oakland Food Policy Council for the launch. Over 300 people packed the space at Oakland’s Impact Hub to taste dishes prepared from the book’s recipes. There was an altar made up of decolonized foods and an Indigenous welcoming ceremony. Esquibel spoke about the significance of eating a decolonized diet and its health impacts, and Calvo demonstrated the preparation of corn cookies named in honor of Tonantzin, the Aztec mother goddess. Dozens more presentations at conferences, universities, and community centers followed and have continued into 2017. In the East Bay, home of a vibrant food justice movement, there is much appreciation for this book and the generosity of its authors, who continue helping people learn about healthy ancestral Mexican/Mexican-American/Latino cooking while supporting others who are doing similar work. Clearly this is something the community has been hungry for. Can you talk about the politics behind eating a decolonized diet? Under colonization, indigenous foods are devalued and in other cases they are appropriated and turned into the latest trend without regard for their history or cultural context. Mexican cuisine is rooted in indigenous knowledge and culture, and we want to draw attention to the history that lives in recipes as they are passed down from generation to generation. As Mexican-origin people, we believe that acculturation is bad for the health of our communities: When people from Mexico come to the U.S. and adapt to the Standard American Diet, our health declines and we begin to lose connection to our precious ancestral knowledge. When this happens, white supremacy wins. We’re trying to fight back against that. At the same time, we’re not trying to hold everyone to one rigid standard. We think that folks can eat a decolonized diet starting from wherever they’re at, whether they’re omnivore, vegan, or the many positions in between. There are some foods we’re especially committed to, like heritage beans, corn for nixtamal [treated with lime to make the nutrients bio-available], and Native-gathered wild rice (not so-called “wild” rice grown in paddies in California). We also acknowledge that the elders in our communities and recent immigrants can share more knowledge about traditional food preparations, urban chickens, food gardens, and medicinal herbs than we can write about in any one book. What is your feeling about community collaboration in food justice work? We have been inspired by the work that indigenous groups have done to reclaim their ancestral foods as a way of reclaiming health. When we first heard about Tohono O’odham Community Action and their work in reclaiming foods native to the Sonoran desert—tepary beans, cactus, mesquite, squash, corn—as a way to fight diabetes, a light really went on for us. When these native foods, which naturally lower blood sugar levels or balance them, were the center of the Tohono O’odham diet, there was no diabetes. We are also inspired by Winona LaDuke’s work with the White Earth Land Recovery project. They are reclaiming traditional foods—from “very old squash” to wild rice—and using them in food programs for schoolchildren and elders. Can you talk about eating this way in terms of availability and cost? The diet we advocate is actually the diet that is generally eaten by recent immigrants from Mexico and Central America. This way of eating includes daily consumption of beans, corn tortillas, fresh vegetables cooked in soups and stews, and fresh fruits. In general, meats and cheese are included in the diet but in modest amounts. Avocado is used often as a garnish, adding its healthy fat. Herbs are used generously as seasoning and as home remedies in teas. All of these foods are accessible and not too costly in our area. The produce section of our local Mexican markets is a great resource. What are your favorite ancestral foods to work with? That is such a difficult question because we love so many foods. Hands down, though, beans are one of our favorites. We grow a few varieties in our backyard garden, including bolita beans and scarlet runners. We appreciate the biodiversity of beans and we are always trying new kinds. And they can be eaten so many ways, from de olla (whole cooked beans in a pot) to refried beans as fillings, or pureed beans as a sauce for enfrijoladas (enchiladas with a bean sauce). Several scientific studies show that eating beans several times a week can help fight diabetes (improving insulin/ glucose indexes) as well as decrease cholesterol and lower blood pressure. What plants would you suggest for beginning gardeners or folks who don’t have much or any planting space? Perennial herbs—things like thyme, oregano, and mint that can be grown in containers—are always a great starting point for the novice gardener. In addition, our local nurseries often stock unusual indigenous herbs that are fun to incorporate into our garden: I love growing papaloquelite (Porophyllum ruderale), pepicha (Porophyllum tagetoides), Mexican oregano (Lippia graveolens), lemon verbena, and epazote. Herbs add so much flavor to foods, they are full of potent phytochemicals with innumerable health benefits, and they can be used to make herbal remedies and teas. What have been some of your favorite outcomes or success stories from your presentations, class, or having the cookbook published? Our absolute favorite thing is when people hear our talks or read our book and then share some of what they learned with their parents or grandparents. Often the elders then look at them and say, “of course, that is what we used to eat,” and that leads to more discussion in which ancestral knowledge is shared and valued. Many times those conversations start with quelites (lamb’s quarters) and verdolagas (purslane), both of which are plants that are highly regarded by the abuelitas (grandmothers) who would know where to find them and how to prepare them. They are wild foods, nutritional powerhouses. We also love it when folks share photos of foods they prepare from our cookbook. In our own house we have a lot of cookbooks, and most of the time we only cook one or two recipes from a book, so it makes us happy that so many of our recipes are resonating with people. Find more information on the popular Decolonize Your Diet Facebook page or at decolonizeyourdiet.org, where there is a wonderful blog and many recipes. Calvo and Esquibel call this soup “alchemy” because the ingredients make magic together. Rich and creamy, it is a perfect soup for winter months. Chipotle adds a smoky note, but use only a little (even if you think you’re tough). Cinnamon adds flavor complexity and helps regulate blood glucose levels. 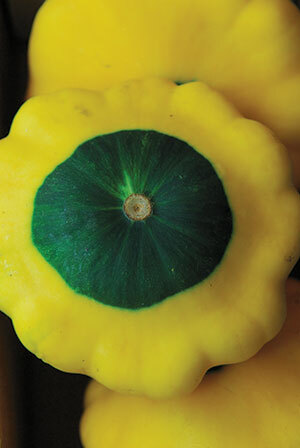 Bake pumpkin or squash at 350° until soft (about 40 minutes), then peel, seed, and chop. In a large pot on medium-high heat, sauté onions in oil for 5–6 minutes, stirring often. Add garlic, cumin, coriander, and 1 tablespoon chipotle en adobo. Stir to combine and cook 1 minute more. Add pumpkin, cinnamon stick, vegetable stock, oregano, and salt. Bring to a simmer, then reduce heat to medium-low and cook for 30 minutes. In a dry frying pan on high heat toast pumpkin seeds until they start to puff up or turn brown, about 3 minutes. Remove pumpkin seeds from pan and set aside. Remove cinnamon stick from soup and purée soup until creamy with an immersion blender. (If using a regular blender, work in batches and be very careful with the hot liquid.) If soup is too thick, add water a little at a time. Return soup to pot and add lime juice and maple syrup. Taste and adjust seasonings. For a spicier soup, add more chipotle en adobo. Adjust levels of spice, salt, acid, and sweet until soup has the perfect balance between these elements. (Cooking is magic and alchemy.) Serve in bowls, each garnished with toasted pumpkin seeds, a cilantro leaf, and Cashew Crema. A satisfying, healthy vegan alternative to cheese, this cream has the consistency of Mexican crema, a tangy loose sour cream that is a popular topping on Mexican dishes. We recommend Cashew Crema in many of our recipes as a vegan alternative to queso cotija and queso fresco. Put some into a squeeze bottle and add as a last-minute garnish to any vegan dish. Place all ingredients in a blender and process until smooth. Scrape sides often. Keeps refrigerated 3–4 days.